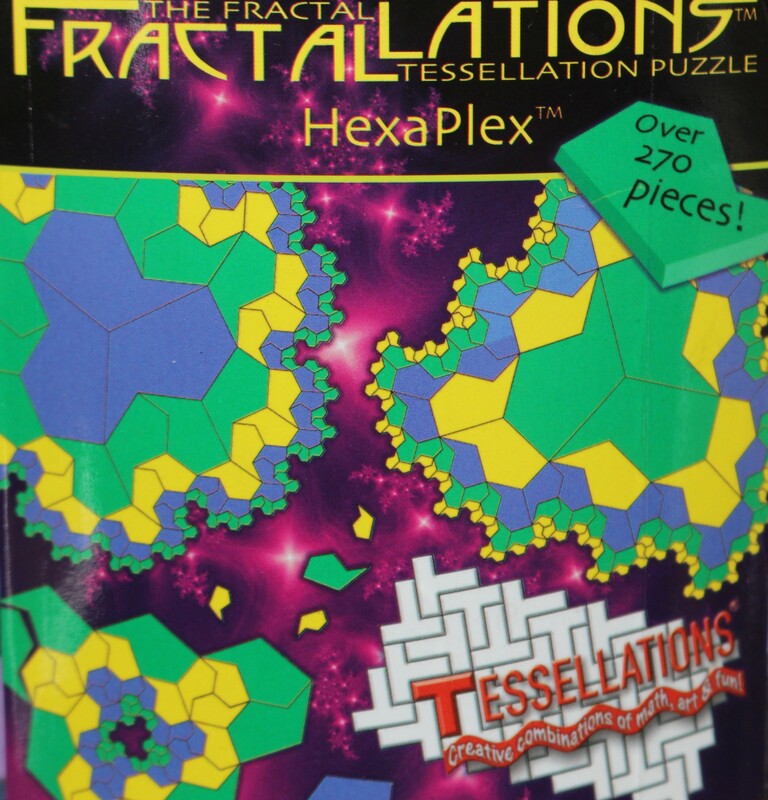 "HexaPlex" is the world's first true fractal puzzle. With this unique puzzle, students and other puzzle lovers can actually build a fractal with their own hands. This magnet-backed foam puzzle contains only one shape, but in five different sizes, with over 270 pieces in all. Following a simple set of rules, iterative placement of the different size pieces builds an approximation of a infinite fractal. Different matching rules result in different fractals using the same set. A 12-page instruction pamphlet, including 9 challenges and 3 copyable worksheets, comes with the puzzle.